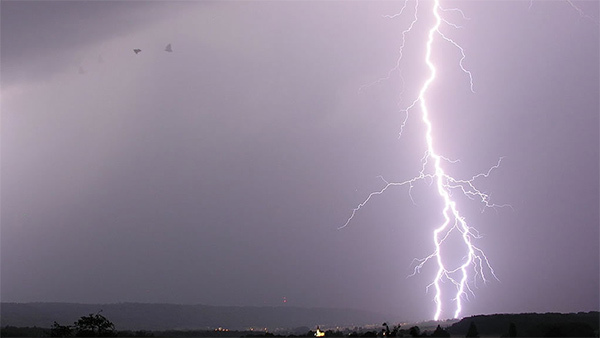 A file photo of lightning is shown. CAROVA, N.C. -- A 5-year-old boy died after he was struck by lightning Sunday afternoon on a beach in Carova, North Carolina, according to officials. Officials stated the boy's family was at the beach while on vacation when he was struck at about 4:10 p.m.
After the lightning strike, the boy's family put him in their SUV and met responding emergency crews, according to officials. The boy was rushed to the hospital where officials said he succumbed to his injuries. Carova is located near the border of Virginia and North Carolina. Click here more stories on lightning.